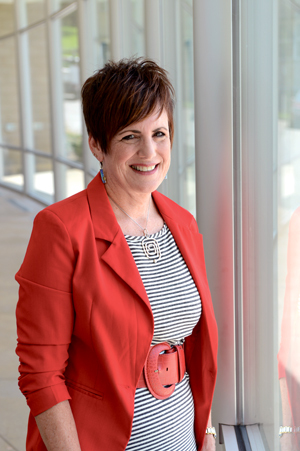 Position: Vice president/business and community development, MidAmerican Energy Co.
Kathryn Kunert is not one of those executives who sat down and mapped out a 40-year plan for their careers. She basically got her degree in public administration and set out to work hard. Her father had told her that doing so would open doors in the business world, and when the opportunity arose, she should walk through them. She set out to do her job at MidAmerican Energy Co., starting with a government affairs position, and the bosses kept asking her to do more. She rose higher and higher on the organizational chart as she approached this, her 20th year with the utility. Now, she’s vice president. She admits she has a hard time persuading herself to take more than a four-day weekend for vacation, but she hopes one day to travel to Ireland and to Rome. Somehow, she finds time to run, play golf, bike and volunteer. “I’m a very competitive person,” and one who began playing cello in second grade, eventually joining her brother and sister to form the entire high school cello section in Mason City. She made the All-State orchestra twice, while also playing basketball and swimming competitively and serving as yearbook editor. She worked at an ice cream joint and at Hy-Vee to pay for school. Kunert welcomes new challenges, whether they involve attending the FBI Academy or helping guide MidAmerican into a new age of heavy investment in wind energy. She appreciates helping others succeed, even as she works behind the scenes to make that happen. Her drive helps not only MidAmerican, but nonprofits such as United Way.